Car accidents are one of the most common causes of personal injury in the province and represent the major portion of the caseload at BLFON Personal Injury Lawyer. These unfortunate accidents which have become something that we are used to seeing often result in injuries that can range from whiplash and other soft tissue damage to fractures, chronic pain, psychological trauma and PTSD. Soft tissue injuries tend to surface several days after the collision which means that even though accident victims may feel ok the following day, as time passes their injuries become more apparent. Whiplash injuries typically require physical rehabilitation which can quickly become a costly expense as injury victims are forced to take time away from work to recover. Ontario insurance policyholders have certain entitlements available to them known as Accident Benefits. Accident Benefits allow for recovery of medical costs, lost wages, non-earner benefits as well as caregiving and housekeeping which are available through additionally purchased coverage. The extent of the victim’s injuries will determine the extent of the access they will have to a certain benefits and their limits. With the legislation in place that is designed to protect motor vehicle accident victims in Ontario, insurance companies will often limit a victims access to these benefits or outright deny it altogether. For accident victims who are deemed to be not at fault in the accident, have additional recourse via Tort claim as they are entitled to sue the at fault party for damages. The negligent party is liable to pay the victim damages that are made up of pain and suffering, loss of enjoyment of life, loss of wages and competitive advantage as well as any out of pocket expenses. The law that governs motor vehicle accidents in the province of Ontario is a complex and always evolving piece of legislation which makes having an experienced personal injury lawyer more important than ever before. As the legislation continues to evolve and with changes coming soon, it is important to know your rights and ensure that they are protected. If you became the victim of a motor vehicle accident, you may be entitled to receive compensation via the Accident Benefits and Tort claims. With the settlements resulting from each of these claims can amount to a substantial amount of financial compensation that will go a long way in ensuring that you can continue to receive the medical treatment you need and supplement your lost income. 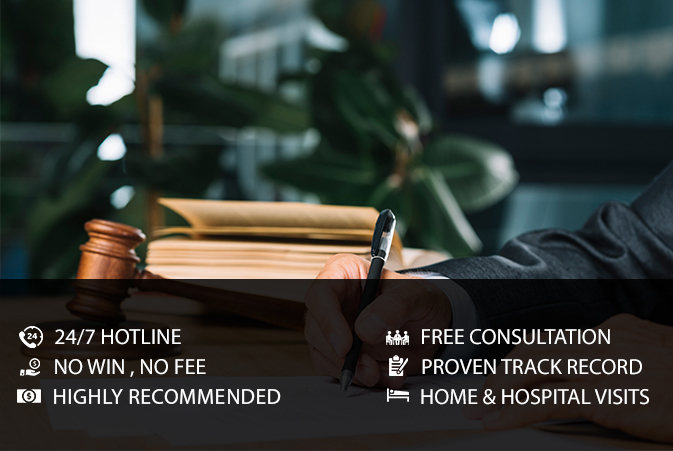 Contact the legal experts at BLFON Personal Injury Lawyer for a free consultation and we will go over all the details, explain what your options and entitlements are, and ensure that you receive all of the compensation that you deserve. We work on contingency which means you don’t pay unless we win, call us today and ensure that your rights are protected.